Gareth has absolutely no idea what he is talking about. I can’t believe he has done 5 minutes of research, let alone 5 years!!? What was he reading? Obviously the revisionist history done of late, if anything. His comments make him a danger to the prosperity of this country. He is so wrong on so many counts. Why the media even publicise his comments is quite beyond me. If he didn’t have a vast sum of money, made mainly from his son’s activities, he would be of no account, I’m sure. Brash’s political career was a victim of the media. In him they saw a somewhat geekish, older person who was fodder for the left wing of our media. Brash is sensible and intelligent, neither of which characteristic is valued by most of NZ’s media who have a rabid hatred for anyone who doesn’t conform to their point of view. Good on him for sticking with his beliefs and defending them when needed. Morgan, on the other hand, simply like to hear his own voice, logical inconsistencies notwithstanding. Well said Don. The sooner the powers to be whatever race they are agree on the principals you have expounded, the sooner we all cane move foreward as one people New Zealanders. 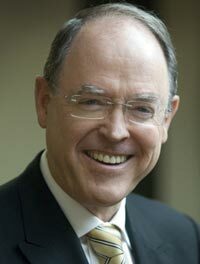 Thank you for that Don Brash – I think you are exactly right. Damn good article Dr. Brash! Very succinctly written! Keep up the good work and don’t let the detractors get to you! Cheers! Well said Don Brash, though it is a pity Don’s response to Gareth Morgan has not been in the mainstream media, apart from a small piece on John Cambell’s show with Don Brash on the way to the Orewa Meeting with Gareth Morgan. Gareth Morgan is talking through a hole in his head . He should stick to the things that he knows what he is talking about, that is culling wild cats and riding on the coat tails of his Son, Sam. Maybe we should be asking him to explain to us how Ngai Tahu had made a profit last year of $160.58 million and didnt pay a cent in tax. If that isnt giving special treatment to one group of people then I will eat my hat. Also the salary, paid to the top staff of Ngai Tahu exceeding $20 million for the year with 92 staff being paid over $100,000 per year. So much for a charitable trust.Let any other “Pakeha ” business try this and see how far they get. F—-n digusting. I think Gareth Morgan has suffered extensive brain damage, possibly caused by repetitive vibrations during his extensive worldwide motorcycling expeditions. There may be some other explanation for his outlandish ridiculous notions, but it is difficult to think of one! You are probably right, Don, that this is all to aid sales of his latest book, but I would not waste my money on it. Gareth Morgan is a money man. I believe he wants to slither up to the money-grubbing Maori elite, and benefit from $50 billion dollar gravy train. When National was elected, N.Z.’s national debt was $10 billion. It is now close to $100 billion. It is easy to see why. Yet Key & Co. speak of being ‘back in the black’. Just more of their misinformation. could someone please tell me just what Gareth Morgan is a Dr in.